Post a Newsfeed item from your home screen. Attach photos from your phone or documents from your device. 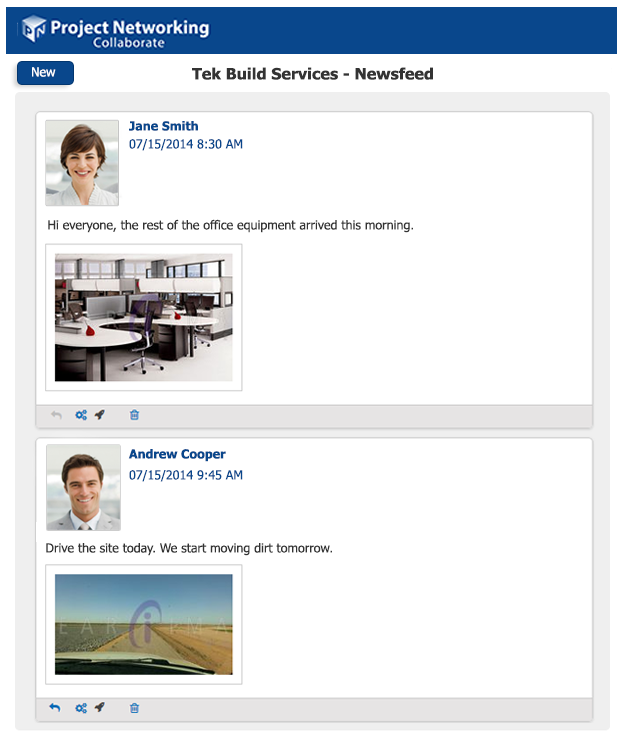 Newsfeed posts are added to your daily journals and Daily reports. Add a newsfeed note to a schedule task. 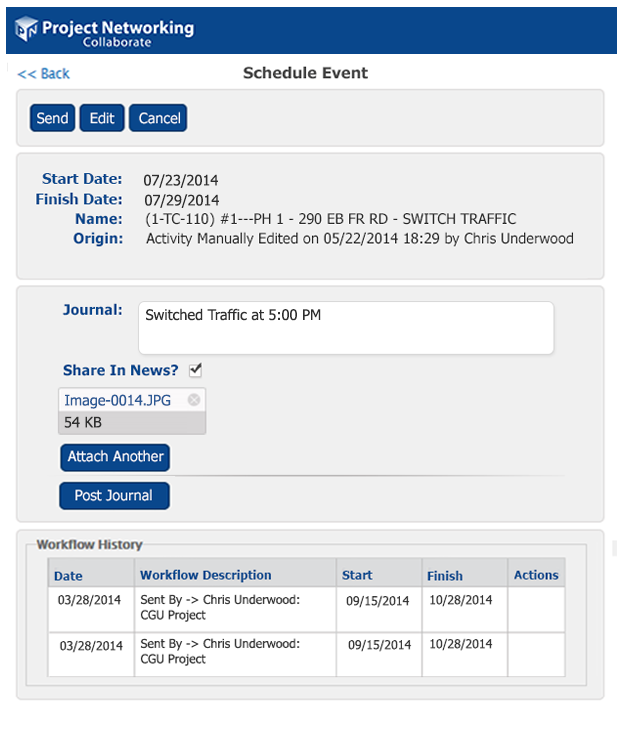 From the schedule task list on your dashboard, select an activity and add a post to the task. This post is added to your Daily Journals and Daily Reports. 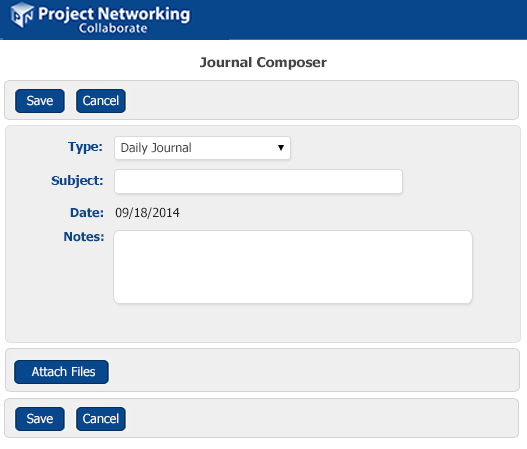 Launch a project and select logs/journals to add a private journal entry. This post is added to your Daily Journals, but is not posted to Collaborators through news.